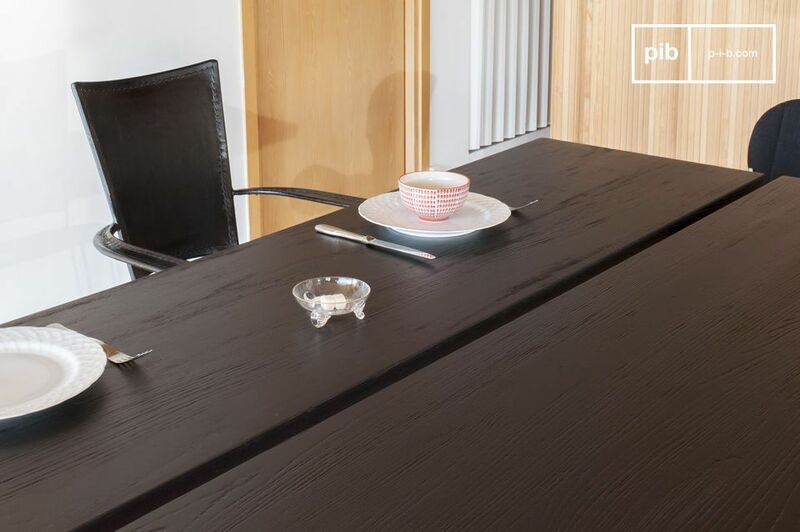 The Osaka dining table has a thick, stained ash top with a black varnished finish. The edges, which follow the shape of the trunk, help give these unique pieces a delicately organic appearance. 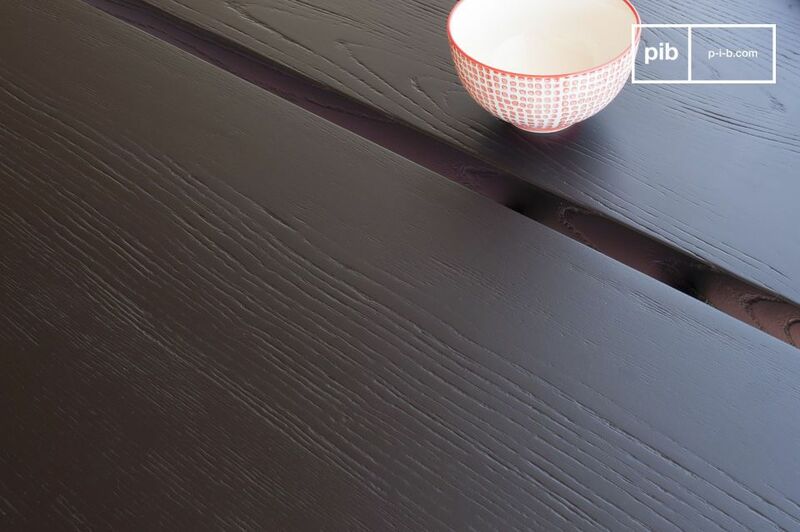 The slit that divides the tray reinforces its graphic aesthetics and visually lightens the table. 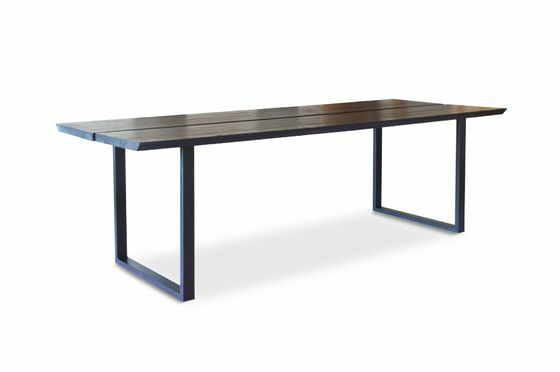 This solid wooden top rests on a solid black tubular metal base with a square section. 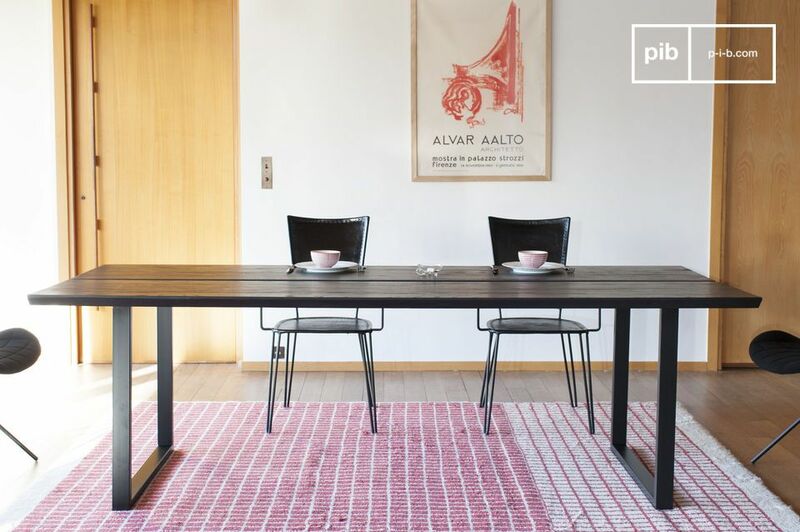 Its design allows for comfortable seating, even for guests at the end of the table. This unique piece, a successful combination of precise cabinet-making and the natural look of wood, can comfortably accommodate ten guests. Its contemporary style will easily integrate into your interior for beautiful moments of conviviality.